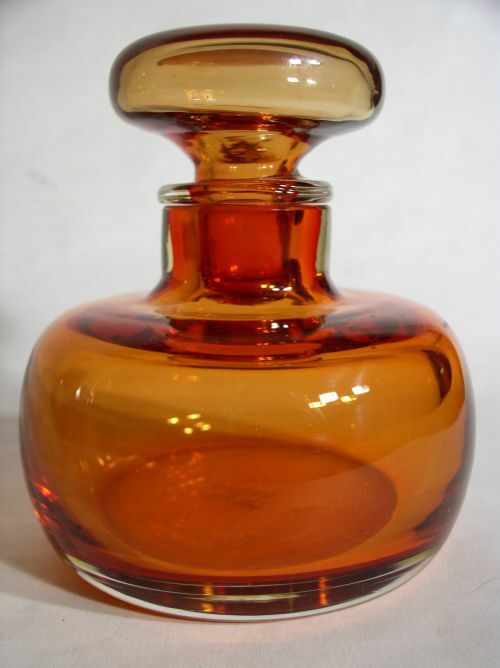 Small thick walled decanter signed "Venini Italia" in a pinky orange color. Smooth surfaced version of Paolo Venini's "Vetro Incisio" range. (Shown Page 85 of Leslie Pina's Fifties Glass book).